Hi, guys! Recently back from my latest amazing adventure, trekking the Sahara Desert on the Morocco-Algeria border, in aid of UNICEF. 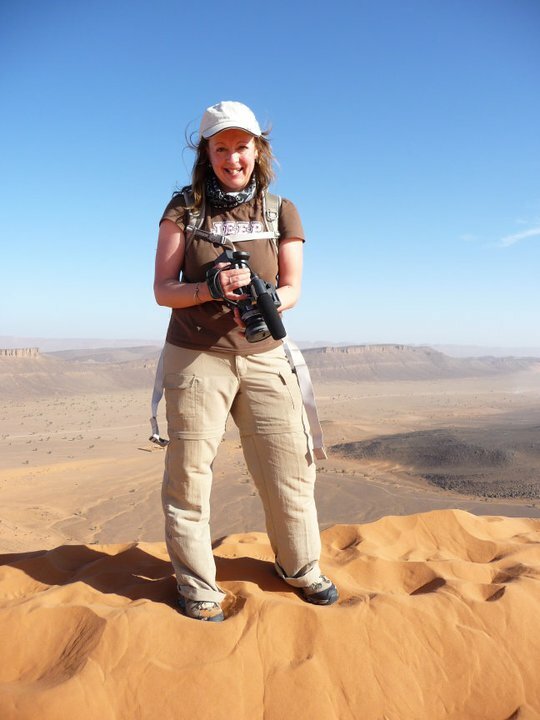 As well as undertaking the trek itself – walking 25km a day under the hot desert sun – I was the official documenter of the journey for UNICEF, filming, photographing and blogging as the expedition unfolded. I was there with Big Earth producer Russ Malkin (Long Way Round, Long Way Down, By Any Means) who’s a long-time UNICEF Ambassador – I’m an Adventure Expert (Motoring) for his company and was also doing some filming with Russ for his new book project 101 Amazing Adventures (due out in April 2011). I raised GBP 2,600 for UNICEF as a result of my efforts – thanks to all you lovely sponsors out there! – and got to see first-hand a couple of the projects the charity contributes to in Morocco – a school and a maternal waiting house. These visits left no doubt in my mind that UNICEF’s work around the world is vital in ensuring the safety and well-being of kids in all countries, and I’ll continue fundraising for the charity in time to come. This entry was posted in Adventure Travel and tagged Sahara; UNICEF on December 3, 2010 by Jeanie Davison.